Every now and then I like to crisscross, my blogs. Some material that I write for this blog wouldn't do well on the other one, because here its more worldly. My blog God Verses Man , is really a christian site that talks and teaches things about God. Sometimes what I write on that blog, crosses over into what I would like to call the other world, where people often express themselves not in a godly manner. There are many times in each of our lives when we get involved into relationships or marriages , that we know in our hearts that are not good for us. Then many of us waste valuable time or money with a man or woman that doesn't have our hearts. Being involved with someone who doesn't make you happy often breeds, hate, resentment and sometimes many end with violence. 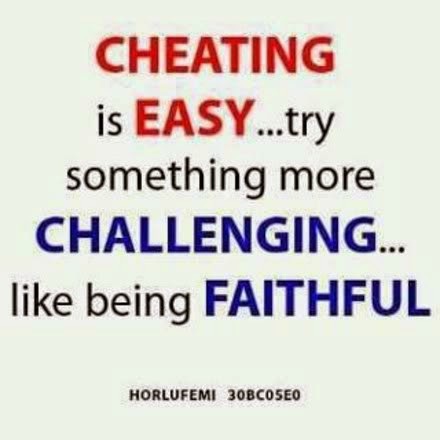 Then others resort to cheating or begin having affairs. The question is why? Why won't some tell the truth, when in fact they are living a lie. Which brings me to the question of the week, which happens to come from, my blog called Secrets. How do I reveal my secret? Wow! Anonymous , what a question. I once had a secret, that I hid from my ex-girlfriend . We dated for over two years and later after spending sometime with her, I determined that she wasn't the one for me. I wasn't happy and I was miserable, but instead of telling her the truth I continued the relationship. It was only when we began to argue when the truth came out. To both my relief or surprise she sensed that I wasn't happy and she felt the same about me. We both kept our feelings to ourselves and we lived a lie for two more wasted years. Since then we both parted ways, now she is happily married to her husband and I am now at peace. We are now good friends and we both often talk about the valuable time we wasted together, when we could have went on with our lives or our separate ways. My advice to you or others is to tell the truth and stop wasting your time! Because one thing that never changes is that we all with the grace of God are aging or getting older, so why waste it living a lie or being unhappy? After all some where out there is a good man or woman waiting to be loved by you!Don't waste another moment in a relationship or marriage that you know has no real future. How Do I Reveal My Secret? By telling the truth and not living a lie! Write in and give your thought or opinions on the subject. In each life a man or a woman will plant many seeds, some are good which are fruit, while others are which bad are call weeds.The difference between the two is that good seeds only grow in certain seasons, but when they do the fruit produced from it is always good, very tasty and desired. But a weed no matter where it grows it always become a nuisance or a problem. In each of us there is a little good or bad, but its the secret seeds we plant that none of us ever expect to grow that destroys lives. Always remember this what is hidden or planted today will someday grow or be revealed tomorrow. Bad seeds are mistakes, we all make them and that's understandable. Keeping secrets or telling lies are hurtful and when they are found out or revealed they have been know to destroy or wreak lives. Its been said a cell phone under each pillow, creates a burning bed. Its was once revealed to me by a reader, that the reason why it bothered her when her lovers cell phone was under his pillow. Was because when she put her phone under her pillow it was because she was expecting a text from her lover or other man. Isn't it quite ironic, that they people that accuses the other of cheating, are the main ones that are in fact cheating, telling lies or playing games themselves.